You may have heard that inbound marketing is no longer relevant, that the integration of outbound tactics like PPC and paid advertising have diluted its power, impact, and by de facto its very definition and essence. But that just isn’t true. Instead, like all things in the digital landscape, the way we use inbound marketing today is evolving. In this three-part series, we will explore the changes taking place in the B2B ecosystem by first taking a look at what inbound marketing is, its principals, and where it fits in the world of marketing today. For some, this post will be a refresher, but for most, it will illustrate the continual importance of inbound marketing as it contributes to driving revenue and growth. 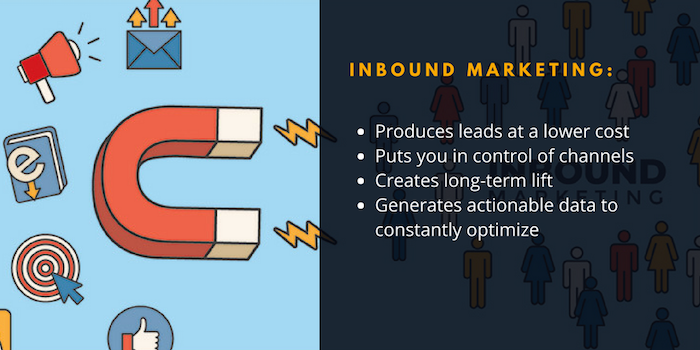 In short, inbound marketing is the method of organically pulling prospects and customers to your business and products online through the creation and distribution of helpful and valuable content. The idea is to make it easier for potential clients to find you without overtly selling to them. Instead, you use content that speaks to the buyer's stage in the buyer journey to position yourself as educational and relevant without being intrusive. In doing so, you establish yourself as a thought leader in your industry, increasing both your credibility and brand awareness. However, inbound marketing takes time and resources to prove ROI, and most businesses lack one or both. As a result, marketers are blending outbound and third-party tactics to accelerate the lead generation process, thereby increasing the speed to revenue. By leveraging content through paid social media ads, for example, marketers can increase traffic to websites and blogs—translating into higher conversions at a fraction of the time it would take with a pure inbound approach. But does the use of other tactics that fall outside the inbound methodology mean that this approach is obsolete. No, it doesn't. As long as buyers continue to self-educate and conduct their own research before making a purchase, inbound will still play a role. To better understand this point, let's revisit the inbound methodology while keeping an open mind on how other tactics can play a role to expedite the buyer's journey through the revenue funnel. 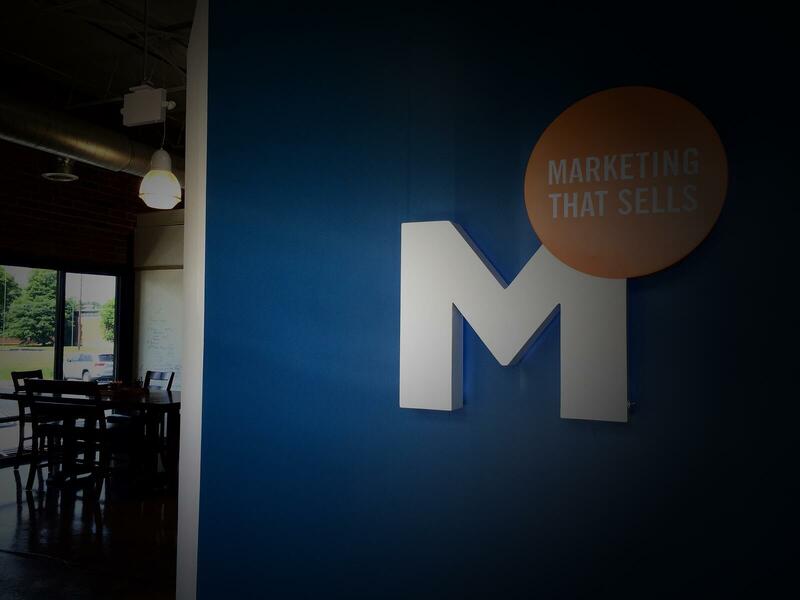 To get a better understanding of these terms, download our inbound marketing glossary. Attract, convert, close and delight are the four phases that make up the inbound methodology and provide the framework for your buyer’s journey through the revenue funnel. Buyers move through said funnel based on the content you offer them at each touchpoint. Each touchpoint utilizes various distribution methods as vehicles to interact with your audience. Below is a chart from HubSpot that better illustrates the inbound process. Don't let the simplicity of the chart fool you. Inbound marketing is not something you do once, then copy and paste in hopes of seeing the same results. In fact, inbound is an iterative process that allows you to learn which inbound activities are gaining traction through the data you gather. When you combine inbound with outbound and third-party tactics, the success of your marketing efforts increases exponentially. By using the methodology as the foundation of your marketing efforts, you can scale and allocate the budget for your outbound and third-party initiatives with more precision—making your program more efficient and cost-effective. In the early days of inbound marketing, implementing keyword and SEO tactics was a surefire way to generate leads because no one else was doing it. But as new players entered the digital space, it has become harder to produce the same results, placing a higher emphasis on marketing technology to do it more effectively. Couple this new reality with the fact that it takes inbound time to show ROI on top of tight budgets and turnaround time, and you can see why some would say that inbound is impracticable. While it would be easy to agree that inbound isn't practical, content is the fuel for any program you choose to implement. In Hubspot's latest State of Inbound report, it was noted that of marketers who could measure the ROI of their efforts, 46 percent produced higher ROI using an inbound approach in comparison to only 12 percent with outbound. Not only are these statistics telling, but when you take into consideration Google's latest algorithm update, in which quality is being favored over quantity to rank for searches, you can see not implementing inbound can mean the difference between growth and stagnation. The right approach is the implementation of strategies and tactics based on your organization's objectives. If you are strapped for time and but lack content, then layering inbound with outbound and third-party tactics will get you to your goals faster. Likewise, if you don't have a large budget, then using inbound tactics like a long-tail keyword strategy will be your best low-cost option. Remember, it’s about understanding your organization's objectives, developing a data-driven playbook based on your buyer’s behavior, and knowing when and how to leverage content. Inbound is a great foundation to build your efforts on, so why not implement the best of inbound, outbound and third-party tactics to yield optimal results? To learn more about implementing inbound and how to leverage its benefits, download our e-book on jumpstarting your inbound marketing program.